In the 18th century, the area of Sicily between Noto and Ragusa witnessed a veritable explosion of baroque art. This was the time when incredibly ornate churches and theatrically flamboyant palazzi completely transformed the appearance of some of Sicily's oldest cities. This exuberant burst of Sicilian baroque might not have been a direct consequence of, but nevertheless followed immediately after, one of the most devastating natural disasters ever to have struck the island of Sicily. In 1693, South Eastern Sicily was the victim of a powerful earthquake and the provinces of Ragusa and Siracusa were among the most badly damaged. In the wake of the earthquake, a new fervor and, in particular, a new religious fervor, fuelled the area's reconstruction and it was in this period that the works of masters of Baroque architecture, such as the Siracusa-born Rosario Gagliardi, dramatically changed the townscapes of Sicily. 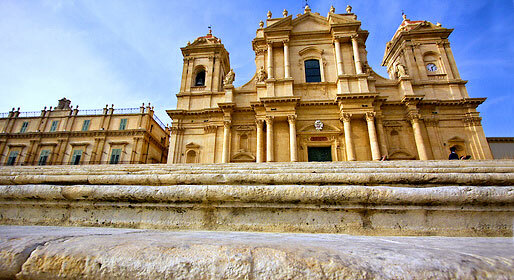 UNESCO World Heritage site since 2002, Noto is the capital of Sicilian Baroque. Along the main road of Corso Vittorio Emanuele there are three piazzettas, each of which is home to a magnificent baroque church: San Francesco all'Immacolata, the Monastery of Santissimo Salvatore, and the Convent of Santa Chiara. 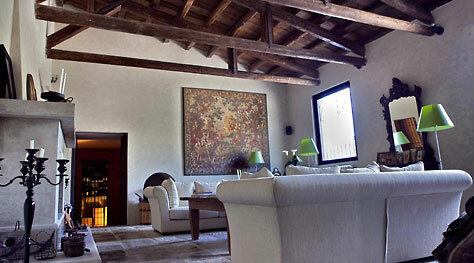 The 19th century Palazzo Vescovile and the Palazzo Landolina stand one to either side of the cathedral. On the opposite side of the piazza, there is the Palazzo Ducezio which now functions as town hall, and Gagliardi's Church of San Domenico. From Noto we travel to Pachino, to taste the juicy Pachino IGP cherry tomatoes, the unmistakable flavor of which is the result of the rich soil in which the fruit is cultivated, the warm climate, and the salinity of the irrigation water. Close by, Portopalo di Capo Passero sits on the southernmost tip of Sicily. From here, what remains of the tuna fisheries of Capo Passero can be seen. Although most travelers come here to pass a few hours on the Capo Passero's marvelous beach and bathe in the crystal clear sea, the old "tonnara" provide a fascinating illustration of industrial archaeology and are well worth a visit. Continuing our journey towards Ragusa, heading inland, we take time to stop at Modica. At the center of a deep valley, the town of Modica appears like a nativity scene carved in stone. These days Modica is perhaps most famous for its Aztec chocolate, a delicacy which has been made here since the 16th century. Our journey draws to a close in Ragusa. Ragusa is divided into the modern, 20th century city (with the occasional baroque church or palazzo), and the once abandoned historic center of Ragusa Ibla: this latter has been recently brought back to life by the advent of tourism in the area. The twisting decent to Ibla is best made on foot so as not to miss out on the many marvelous architectural details present in the old town. The Cathedral of San Giorgio is by far the most important edifice in Ibla. Work of Gagliardi, the "duomo" has the typical towered form found in the houses of worship built in the Valley of Noto. The Church of San Giuseppe is also attributed to Gagliardi and has a façade similar to that of the cathedral.